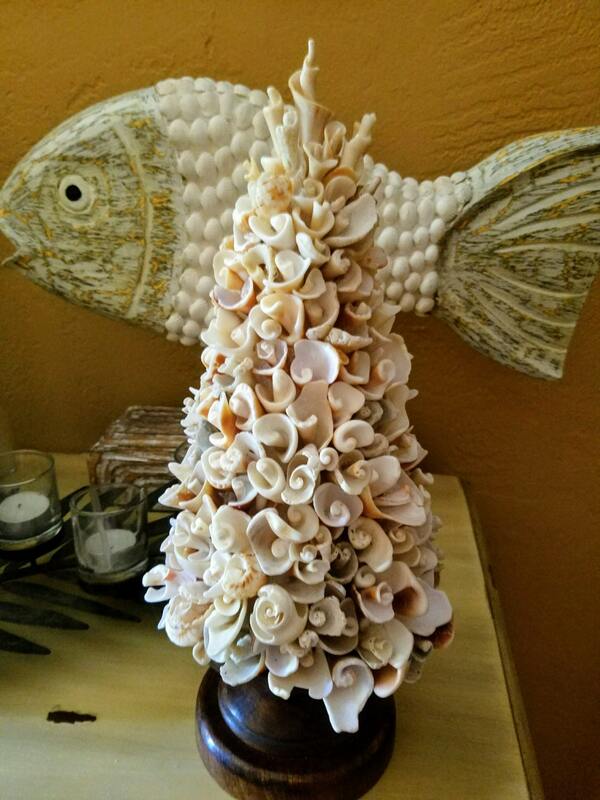 "The Tree Of Hope" seashell topiary is as meaningful in symbolism as it is stunningly beautiful! 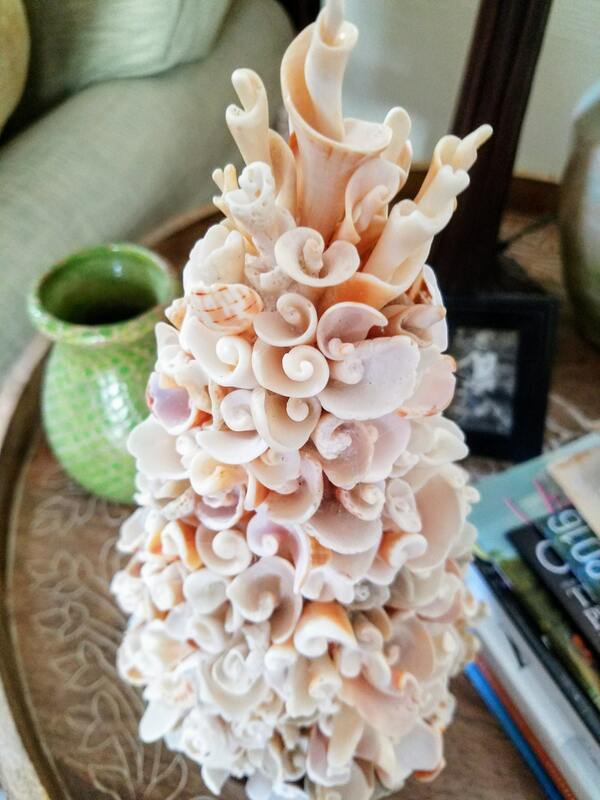 Hundreds of seashell "flower buds" hand collected from my private, island beach, are meticulously arranged atop a solid wood pedestal. 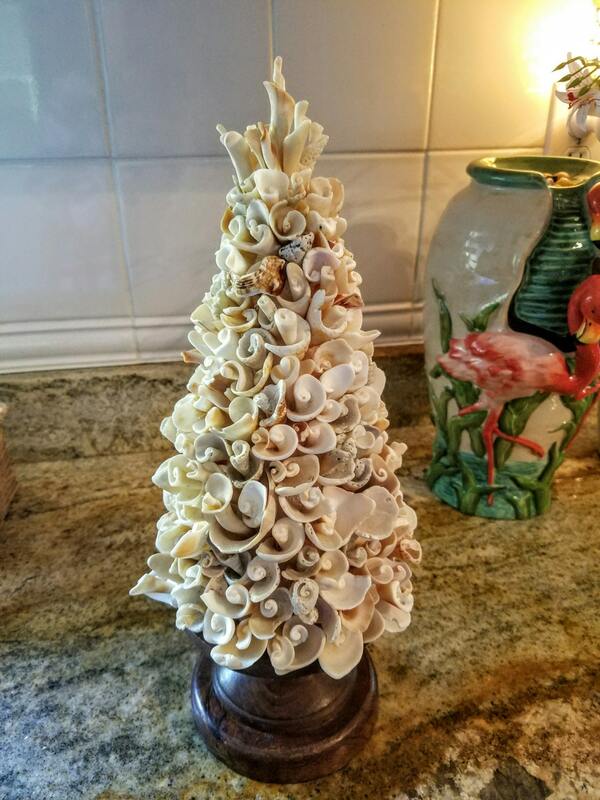 This beauty measures 16" x 8" and weighs approximately 8lbs. 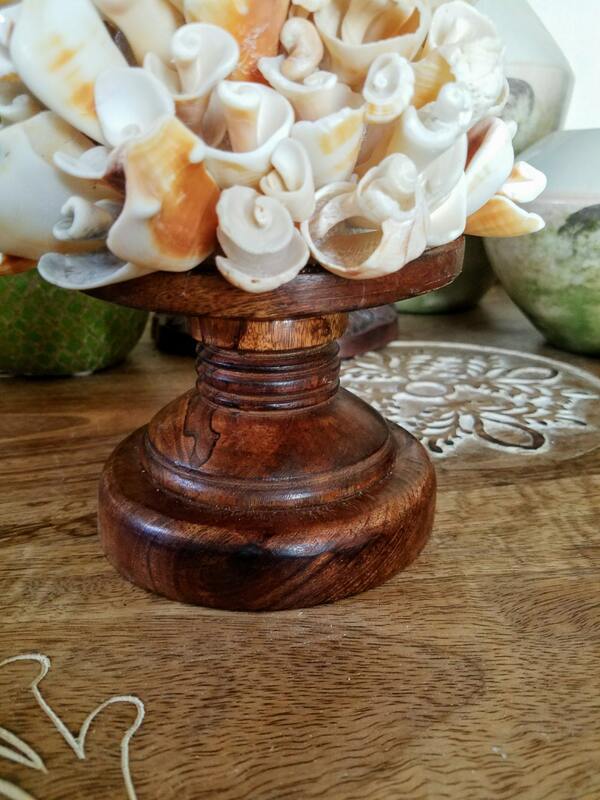 The solid wood base is stained in a rich, shade of walnut brown. 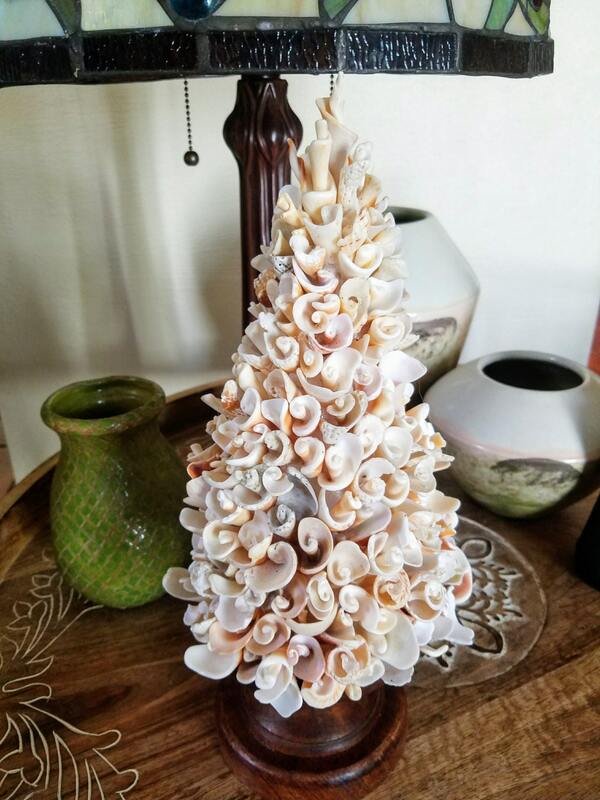 The seashells are in lovely tones of ivory.